Our goal is to make your kitchen remodeling project fun, easy, and efficient. your one-stop shop for kitchen remodeling. Kiba Studios is proud to be your one-stop shop for kitchen remodeling. 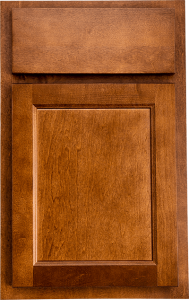 Given that the kitchen is the heart of your home, we know how important it is to find the perfect kitchen cabinets. 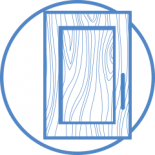 You’ll find detailed information about the kitchen cabinets we offer below, and if you’re ready to get started with your kitchen remodel, you can begin with an estimate through our website! We also invite you to find a Kiba showroom near you so that you can see our cabinets for yourself, ask questions, and speak with a professional kitchen design expert about your ideas. Say goodbye to your outdated kitchen cabinets, and say hello to the kitchen you’ve always wanted! Ask yourself about your current and future storage needs. 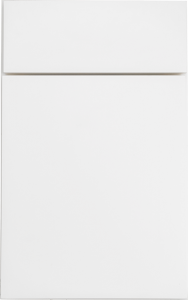 Are appliances in your cabinets taking up a majority of your free space? Are you having to store items outside of your cabinets? Storage is one of the most common reasons homeowners choose to invest in new cabinets, and we can help you determine the right model for your needs. Growing families and cooking enthusiasts may benefit from larger cabinets with fewer shelves. Are you able to easily access utensils, ingredients, and other items in your kitchen? 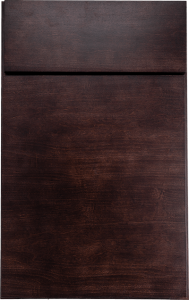 If you’re constantly opening drawers while you cook, then you may want to select a cabinet style that opens easily and closes softly. It doesn’t matter if you have a galley kitchen or an open-concept floor plan — your kitchen’s workflow is one of the most important aspects of your remodel! Think about how often you cook, how many people cook at once, where your most commonly used utensils and ingredients are stored, and whether an upgrade to your current cabinets could help you improve your day-to-day life. The vast majority of our clients find that changing their cabinets significantly improves their ability to work and maneuver in the kitchen. The most important part of your remodel is the overall design. You’ll probably be choosing a backsplash, new appliances, countertops, and decor for your new kitchen, so you should find a kitchen design that you love before you settle on a certain style of cabinets. It’s completely fine (and, in fact, expected!) if you don’t have a specific kitchen design in mind. You may have seen a style you like online or on your favorite television show, and we encourage you to bring examples to your designer’s attention. One of our kitchen design experts will help you find the perfect style for your home! 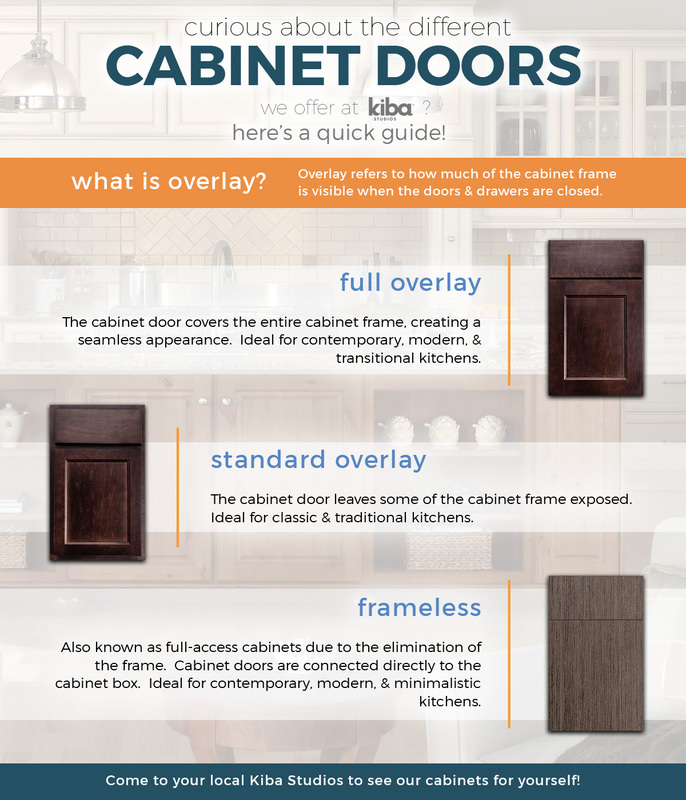 Wondering about the differences between full overlay, standard overlay, and frameless cabinets? Many of our clients are unsure about which cabinet style will be right for their kitchen, so we’ve created a detailed guide to help you find the perfect style. 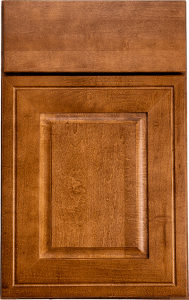 To fully understand the differences between these different cabinetry styles, it’s important to understand the historical roots of the most popular kitchen cabinet designs. American cabinetmakers traditionally began by creating a cabinet box (the place in which goods were stored). A cabinet frame (also known as a face frame) was then constructed and anchored to the front of the box. The cabinet doors were then secured to the cabinet frame with durable hinges. The combination of solid frames and sturdy doors led to long-lasting cabinets that could be customized in a variety of ways. 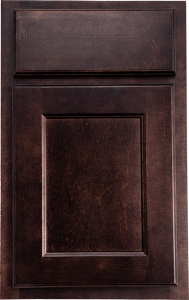 Cabinetmakers often designed their cabinetry in a way that would showcase both the frame and the door. 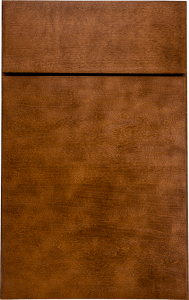 European cabinetmakers, on the other hand, created cabinets without the use of face frames. 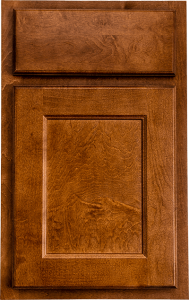 Rather than building a wooden frame to which the doors could be attached, European cabinetmakers opted to anchor the doors directly to the cabinets’ sidewalls with the use of hidden hinges. Full overlay cabinets show very little of the face frame itself. The drawers and doors will almost completely cover the frame, creating a virtually seamless appearance. 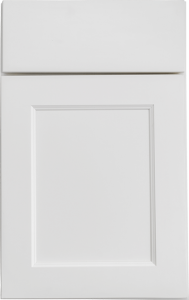 Given that full overlay cabinets are built using a sturdy face frame that can support ornately designed doors, they are often used to support heavy countertops. 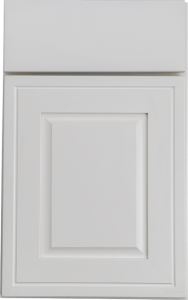 Buyers should be aware that while framed cabinets are incredibly durable, the face frame does sacrifice a small portion of the internal cabinet space. This style is ideal for contemporary, modern, and transitional kitchens, all of which utilize clean lines and minimalistic designs. 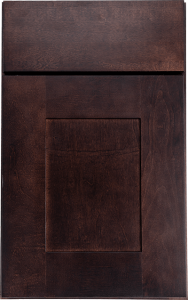 Also known as partial overlay cabinets, this style utilizes smaller doors and drawers to expose more of the underlying face frame. 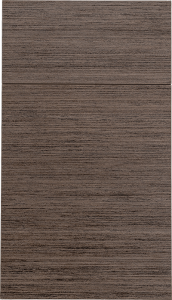 Like full overlay cabinets, this style requires a face frame and can support luxurious countertop materials like quartz and granite. 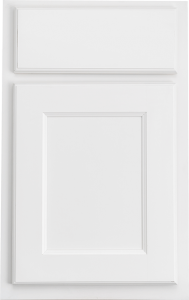 No hardware is required with this style, as there is generally enough room between the doors to open them by hand. 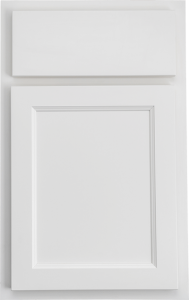 Many homeowners choose to add hardware to further accent their doors and complement their chosen kitchen design. 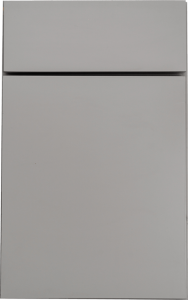 Standard overlay cabinets are often utilized in traditional kitchen designs. As we noted in the section above, frameless cabinets are a more modern cabinetry option that utilizes European designs and features. 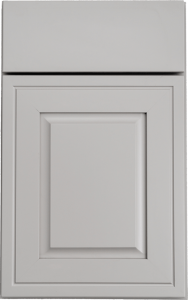 Unlike standard and full overlay cabinets, frameless cabinets are crafted without a face frame and are instead secured directly to the cabinet body. 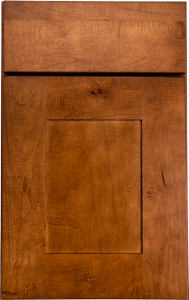 The absence of a face frame allows you to utilize every inch of the space within, making them ideal for homeowners who are upgrading their kitchen cabinets with the intention of adding more storage space. Frameless cabinets tend to lend themselves to contemporary and minimalist designs, but they can be customized with ornate hardware and used in traditional, Victorian, farmhouse, and other popular kitchen designs. 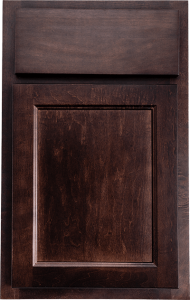 You can view some of our most popular kitchen cabinet styles below, but please note that we have many different options available in our showrooms! Find a Kiba near you to get started! Want more options? Visit a location in person for over 200 cabinet options. 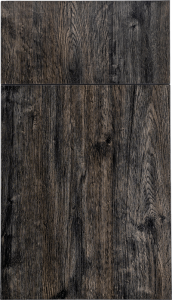 Now that you’re familiar with the kitchen cabinets we offer, you should take a moment to think about any extras you would like to include in your remodel. Remember that you’ll probably be remodeling your kitchen just this once, so don’t be afraid to splurge on features that will improve your life when you’re in the kitchen! How many times have you pushed a drawer in just a bit too hard, or let go of a cabinet door too early? 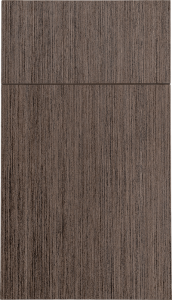 The sound of a slamming drawer or cabinet door is certainly jarring, and the force of the impact can often negatively affect the contents of the cabinet. 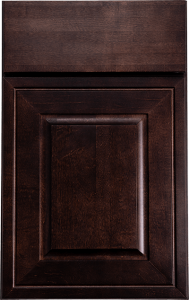 Soft-close mechanisms are a wonderful cabinet upgrade, as they take over and gently close your kitchen cabinets for you. 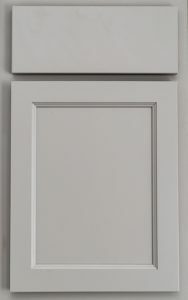 All you need to do is push the drawer or door toward the cabinet and let the soft-close mechanism do the rest! 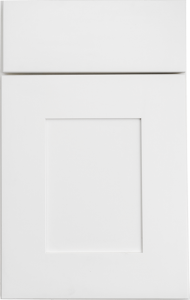 Soft-close mechanisms will help you keep your home quiet, protect the contents of your cabinets, and protect children from getting pinched. Do you ever have trouble finding what you need in your cabinets? We know how frustrating it can be when you can’t find the utensil, pan lid, or cookbook that you need, and rollout trays are the ideal way to make your kitchen more accessible and organized. Also known as pull-out shelves, rollout trays allow you to pull everything in the cabinet out for easy access. Whether you decide to outfit your entire kitchen or a few shelves in your pantry with rollout trays, you’ll love having the ability to organize and see everything in the cabinet. Even the most spacious kitchen cabinets can become cluttered and disorganized. Interior organization tools are a cost-effective upgrade that can help you keep your newly remodeled kitchen as clean and efficient as possible. We have everything from spice racks to extensive storage units, so just ask a designer at your local Kiba showroom for recommendations! We meant it when we said that our kitchen remodeling resources are on the cutting edge! Your smartphone and electronic devices are some of the most important items in your life, and sometimes you don’t want to have them in another room while you cook or clean. Perhaps you have a podcast that you want to listen to while you make dinner, or maybe you’ve been waiting on an important call all day. You can plug in your phone and keep it nearby when you opt to add charging stations to your kitchen remodel! Your trash bin isn’t exactly the star of your kitchen, so it’s completely understandable that you want it out of the way. Putting it inside a cabinet can make it difficult to remove, and even the nicest wastebaskets can be an eyesore in your beautifully remodeled kitchen (there’s also the issue of the smell, but we won’t get into that here!). 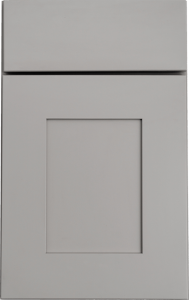 You can’t go without a wastebasket in your kitchen, however, so invest in a wastebasket drawer that provides you with the discrete functionality you need! You can easily open the drawer whenever you need to drop something inside, and you can even add space to accommodate a composting section and a recycling bin. Lighting is one of the most important aspects of any kitchen remodel. You need to be able to see exactly what you’re doing when you’re working with sharp knives and preparing meals, and undercabinet task lighting is one of the best additions you can make to your new kitchen cabinets. You can turn your undercabinet lighting on whenever you begin to cook, and you can also turn your lights on when you’re entertaining to show off your gorgeous new backsplash. After all, a well-lit kitchen is a beautiful kitchen! Most kitchen designs include at least one 45-degree corner, and corner cabinets are notoriously difficult to organize and access. They’re ideal for storing those large appliances that you only use every now and then, but this doesn’t allow you to maximize your available space. 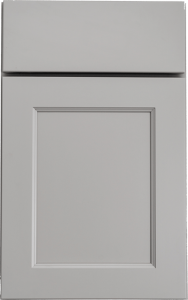 At Kiba, we believe that every inch of your kitchen should incorporate usable space, and that’s why we offer built-in lazy Susans that can help you keep your corner cabinets manageable. You’ll love the ability to rotate the inner shelves and access exactly what you need! 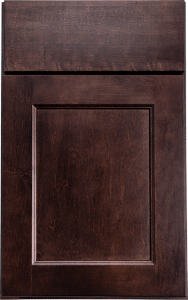 Lift-up kitchen cabinet doors are just one more example of how Kiba can help you make your kitchen more accessible. 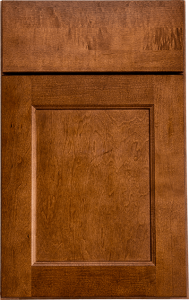 Hinged cabinet doors are perfectly fine for most kitchen designs, but in some cases, the doors could collide or block another important element of the kitchen. 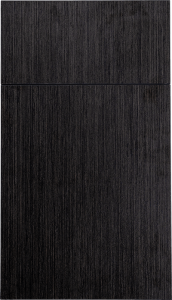 Lift-up cabinet doors provide the ideal solution, and they can even make hard-to-reach cabinets even more accessible. 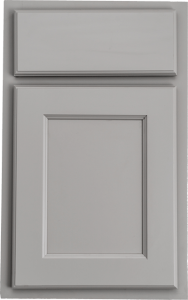 Even if your kitchen doesn’t have any spatial conflicts, lift-up doors can be an aesthetically pleasing addition to your new cabinetry! Kiba Studios has made it as easy as possible to get started with your kitchen remodel. Choose where you would like to begin! We know that kitchen cabinetry is just one important aspect of a full kitchen remodel, so we’ve created an easy way for our clients to get started with an estimate. We’ll have you tell us a bit of information about your project, your kitchen’s size, your budget, and the most important elements of your remodel. Don’t worry about going over your budget in this phase — we’ll help you find the ideal features for your kitchen remodel without exceeding your limit. You can expect to hear back from your personal Kiba designer in 24 – 48 hours! You might be ready to get started with a kitchen cabinet remodel after reading this page, and we’ve made it easy to start designing your new kitchen from the comfort of your own home! You’ll tell us a bit about your kitchen, choose your favorite cabinet design, and set up an appointment at your local Kiba Studios. We’ll walk you through your options and help you find the perfect cabinet style when you come to the showroom! We’ll also help you customize your new cabinets with special features and hardware during your in-person appointment. There’s nothing quite like a face-to-face meeting with a kitchen design expert. Whether you’re ready to get started or you’re just wanting to talk to someone about your ideas, we’re here and ready to help! Just provide us with a bit of information about you and your schedule and we’ll make an appointment that’s convenient for you. We can’t wait to work with you!